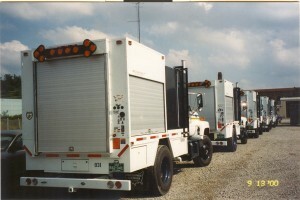 These two Elgin Pelican NP sweepers were delivered to the City of Charleston. They have four of the Pelicans currently in their fleet. 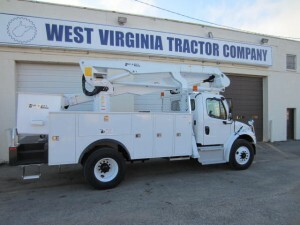 This is a Dur-A-Lift bucket truck owned by the City of Charleston. 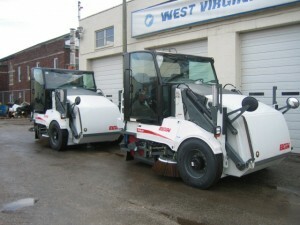 The WVDOH owns 21 of these Sewer Equipment Co. of America Model 800-HPR culvert/sewer cleaners. 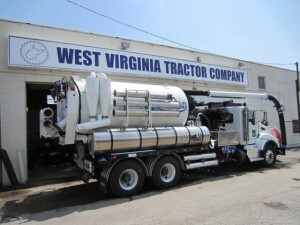 The Charleston Sanitary Board owns a fleet of Vactor sewer cleaners, including this new 2115 PD unit delivered in 2014. 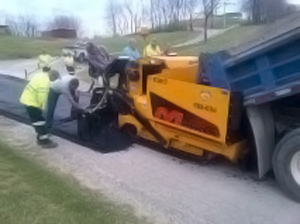 This Mauldin 1750-C asphalt paver is one of two owned by the WVDOH. 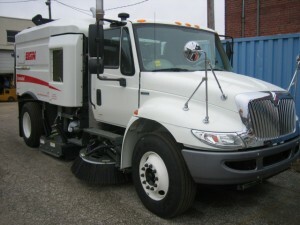 The City of Clarksburg purchased this Elgin Crosswind J+ street sweeper in 2014. This is their second Crosswind. 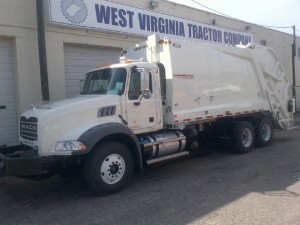 The City of South Charleston took delivery of this New-Way King Cobra in 2012.